At the Duane Reed Gallery here in St. Louis, I came across some interesting art that I thought those of you who are art lovers, like me, would be interested in seeing. 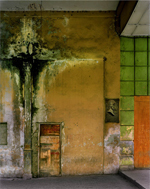 One of the current shows is the work of Michael Eastman. 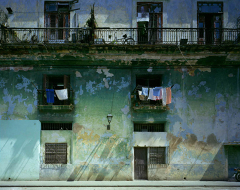 Eastman is showing photographs from his trips to Havana. 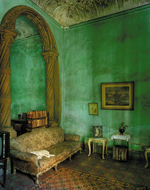 The photographs are very painterly and dramatically lit, showcasing some wonderful architecture and scenes. 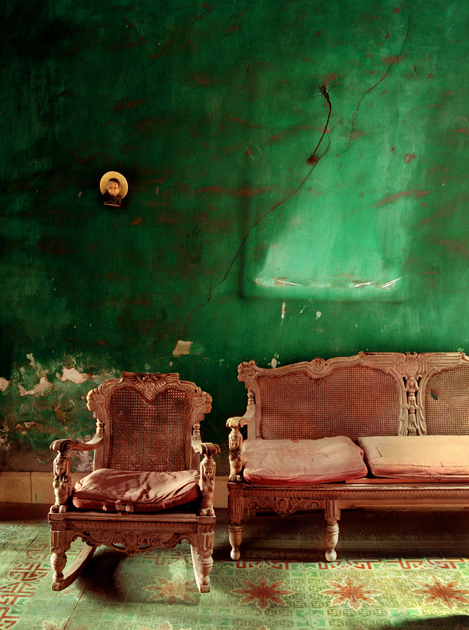 Though mostly void of people, the images speak of the inhabitants and their lives. 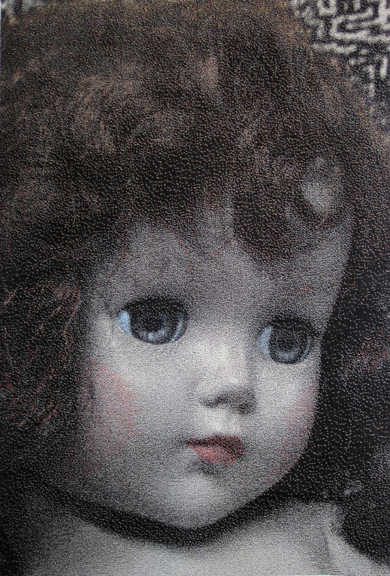 I love all the textural qualities of the peeling paint. 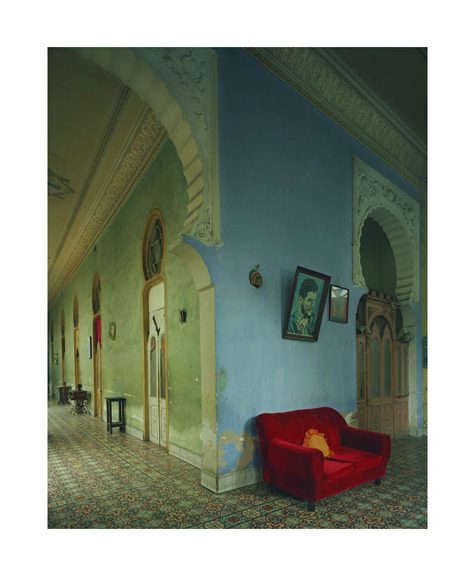 These photographs come in some pretty large prints and I for one think they would look very cool in a room. A picture of a room in a room. The next artist is Lia Cook also represented by Duane Reed Gallery. Her work was up, but is not one of the current shows. I am sure her work is still available through the gallery. These images are weavings and they are amazing! 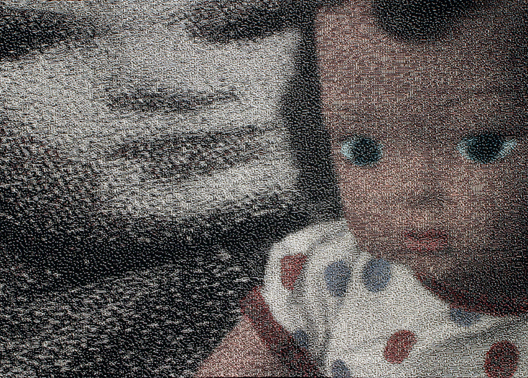 Cook is using digital imagery with 19th century Jacquard weaving techniques. Lovely. Couldn’t you just see one of these in a contemporary girls room? Check out Duane Reeds web site, or give them a call if you’re interested in scoring some of these pieces. They have much more…….. 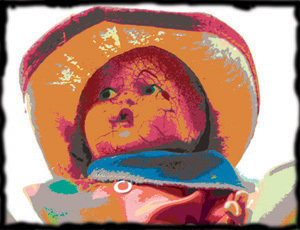 I have to add, I have been photographing toys all over the country. This is one of mine I call Psychedelic Cowboy- he’s from Texas. 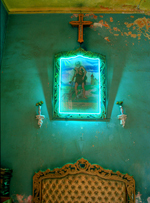 The photographs of Cuba are wonderful, intriguing capsules of that enigmatic country. 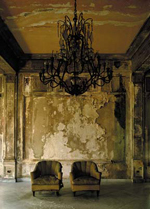 lovelydiggs · For Lovers of Interior Design , Art and all things lovely….